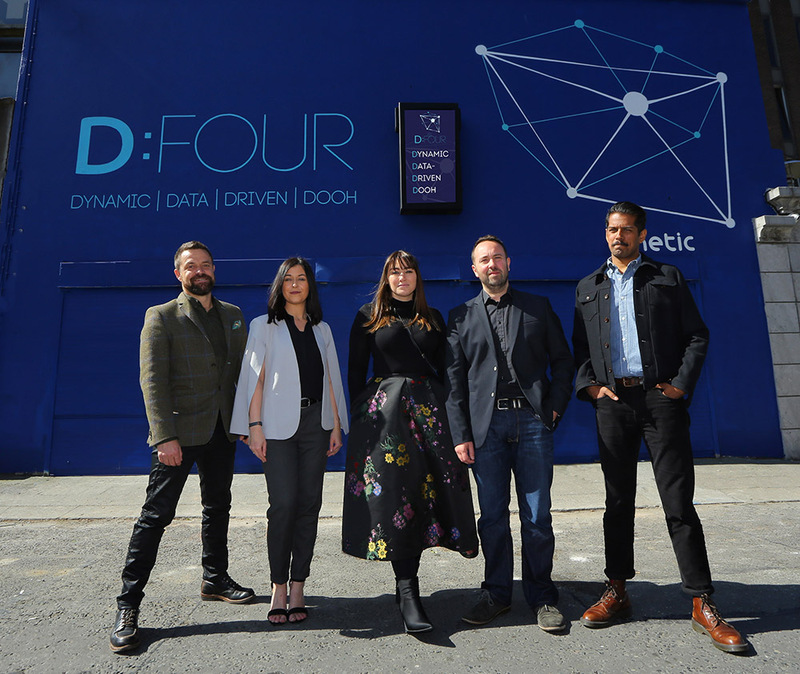 Kinetic Ireland, the OOH media agency hosted an industry seminar to demonstrate the capabilities of Digital Out of Home (DOOH) and its new in-house division and system, D:FOUR earlier this week. The new system is powered by an in-house content management system that allows content, creative, moderation, preview and dynamic ad-serving from a centralised platform in Kinetic’s Dublin Headquarters. Over 100 people from the media industry attended the event. A number of leading industry figures spoke at the event including Rosh Singh, Director of Digital Innovation at Kinetic UK, Andrew Newman, Founder & CEO of DOOH.com and Jeremy Taylor, Head of Strategy at DOOH.com, Aoife Hudson, Deputy Managing Director at Kinetic Ireland and Emma Everard, Account Director at Zenith Media. Aoife Hudson discussed “The Digital Journey Out of Home” in Ireland and how Digital OOH, when used in conjunction with traditional or static Out of Home is effective. Previous studies from Kinetic demonstrate that it delivers higher recall and brand engagement. She also pointed out that OOH’s share of digital spend is expected to grow from 15% in 2017, to 19% in 2018 and 25% in 2019. Finally, Emma Everard, Account Director at Zenith Media, presented a case study from Molson Coors outlining a recent, dynamic Digital OOH campaign for Carling.